Welcome to our Media Hub! 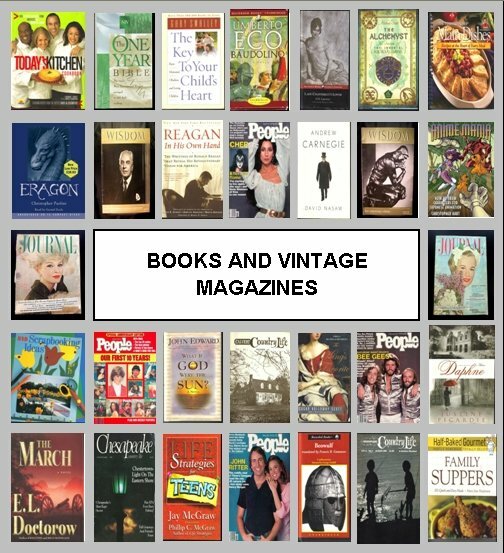 Here at Moms Pennies From Heaven you'll find a nice assortment of Books and Vintage Magazines bought as collections. There are Hard and Soft Covers as well as Audiobooks in a wide range of categories. The majority of my audio books are from a collection I purchased over the years when I worked for Recorded Books. They are mostly packaged in Library Cases which are much more durable than standard retail packaging and come in unabridged format. The retail versions tend to be abridged. In addition, All Music ships at no additional charge after the first one, in the same transaction. Enjoy browsing through by using the quick links below to access the subcategories.